Hello again! As a follow up to multitude of releases, blog entries and news, we would like to provide more details on the latest BlackEnergy incarnation in Ukraine and how the attacks on Media industry & Electric companies are related, and more over – provide an insight into more indicators of compromise (IOCs). Let us start with saying thanks to all credible cyber experts that investigate the threat and share insights on the attack, some notable names are ESET, CyberX, TrendMicro and iSight. We would focus on ESET’s report as they are providing one of the most comprehensive coverage on BlackEnergy since the days it was first spotted. Now that we have analysis by industry expert on our hands let us take more detailed look at IOC’s and reveal some patterns and perhaps pinpoint a TTP. 2015ts – Transport System ? The cultural references decoded from base64 that refer to Dune were the reason that the attack got pinned on group called “Sandworm” by iSight Partners. Do we have enough to put together whole TTP? Let us test the model in practice from bottom to the top. Hash values are new compared to BlackEnergy 2 (Sandworm). Command & Control IP addresses are new compared to BlackEnergy 2 (Sandworm). 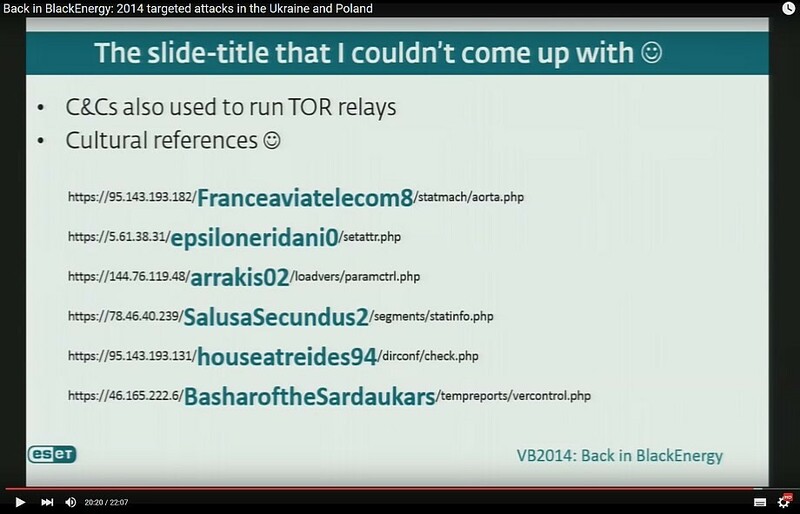 Domain names are not applicable in this case, but we have Tor relays present (again). Tool used is new build or edition of BlackEnergy, no doubt about that but we leave the versioning to the experts. 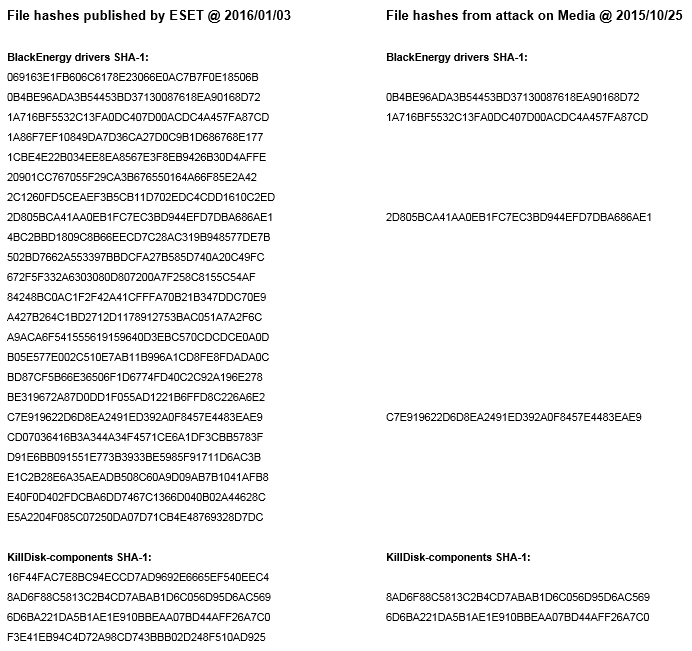 The KillDisk plugin is new compared to 2014’s attacks. Mitigation and proactive detection tips. Check for any unofficial, self-signed drivers on all Microsoft Windows machines in automated manner. Powershell scripts or tools like OSSEC can be utilized for this. For big and distributed networks scanning for known IOCs may be an option, an example is provided here. 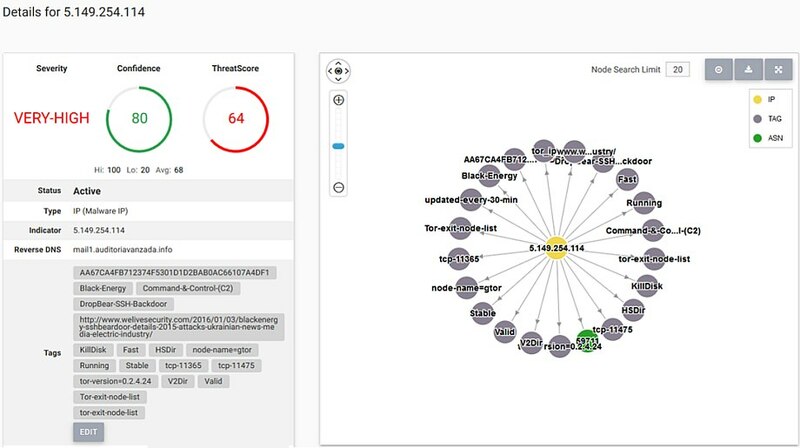 Create SIEM content to monitor attack patterns, a new opened port on the host, new service switched to auto-start mode, server restart, Tor connection – all together can give you means to spot APT before it wreaks havoc in your kingdom.